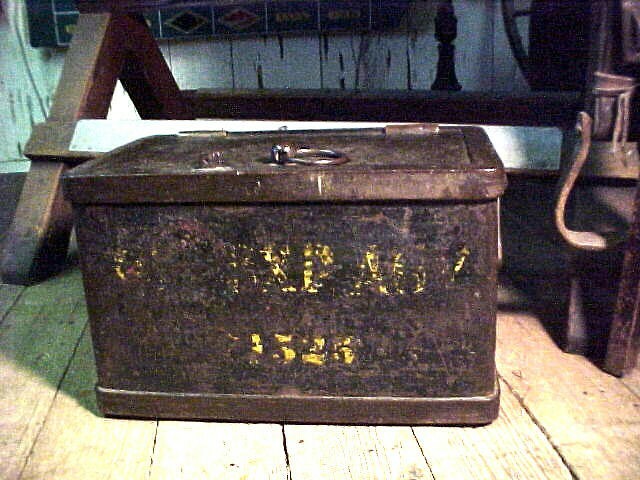 Genuine Wells Fargo Strong Box with bronze hinges. RR Express Agency Markings. Wells Fargo and RRExp merged at the turn of the 20th Century and many of the Wells Fargo Boxes got RREx markings. It comes with the original key marked. 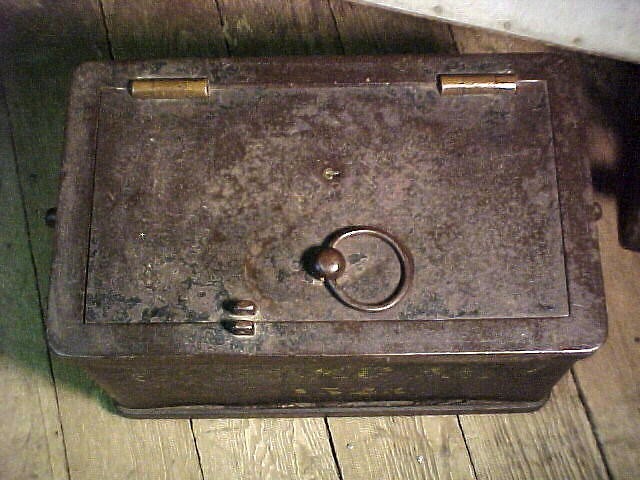 Genuine Wells Fargo Strong Box with bronze hinges. RR Express Agency Markings. Wells Fargo and RRExp merged at the turn of the 20th Century and many of the Wells Fargo Boxes got RREx markings. It comes with the original key marked. Please email cowboyron@cowboycabin.com with questions or call 406 270-2842.